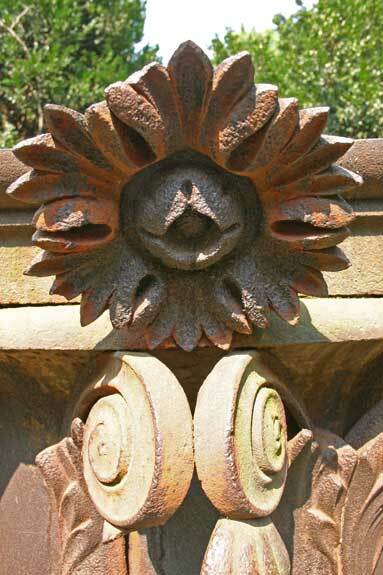 Detail of a cast iron capital outside Pavilion Garden VII. The capital once ornamented the annex to the Rotunda. The annex and the Rotunda burned to the ground in 1895. The Rotunda was restored in 1900.